Left: Dimitrie Dimancescu, high school student (age 18), in 1914. 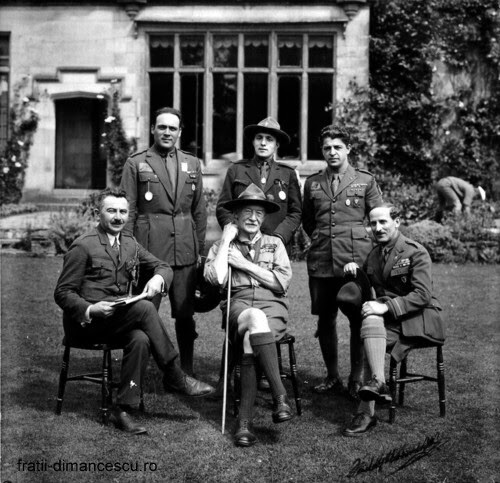 Bttm: His brother Ioan Dimancescu (standing on rt) at a meeting with Lord Robert Baden-Powell in 1929. 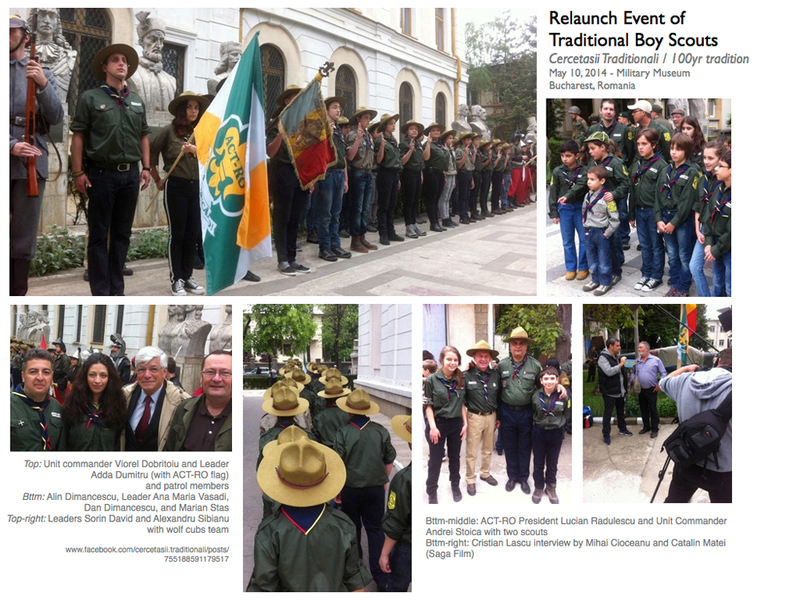 The Romanian Boy Scout movement was founded in 1913 by Dimitrie D. Dimancescu, diplomat father of Dan Dimancescu. Honorary Consul of Romania in Boston. The movement was modeled on the rules established by Lord Robert Baden Powell in England. 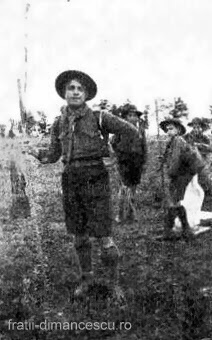 The scout movement was turned into the ‘young pioneer’ organization under the Communist regime. In May of 2014, the traditional movement was formally re-launched in a ceremony at the Military Museum in Bucharest, Romania with initial support from Dan Dimancescu.